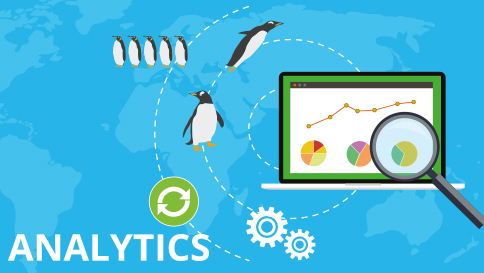 Web developers and SEO specialists around the world are waiting in anticipation for the latest Penguin Algorithm update to be released by Google. It is expected that the latest algorithm update from Google will take a different form to previous major updates. Just as Panda has become part of Google’s core ranking algorithm; it is thought that Penguin will follow suit. One of the main reasons for the updates joining the core algorithm is that they are no longer experimental, Google has been releasing Panda and Penguin updates since 2011 and 2012 respectively, and now has a good understanding of how they work and the effect they have on search and SEO and is an indication of how much Google values these updates. The main objectives of the Panda and Penguin updates is to combat spammy link practices and reward sites that are rich in high quality content. These updates have proved to be effective and accurate and give an indication of where SEO is heading in the coming in 12 months. Unlike previous Panda updates which have been rolled out gradually, the latest Penguin update will be in real time and is expected to be stricter on spammy links and is likely to affect more websites than previous updates. Although an official release date has yet to be announced, it is thought that the update will be released in a matter of weeks. Check your backlinks – perform an audit on your backlinks and identify which are helping you and which are harming you. Rather than disavowing the bad links directing to you, get rid of them manually. Clean and optimise your internal links – review the anchor text in your links, avoid exact-match anchors. Instead vary your links by: name, niche keywords, destination and non-descriptive words in your content. Build strong links – use high quality unique content on your site that engages your audience and encourages them to share your content to create high quality links.